Don McGahn at the 2018 Conservative Political Action Conference (CPAC). Photo by Gage Skidmore via Flickr Creative Commons. 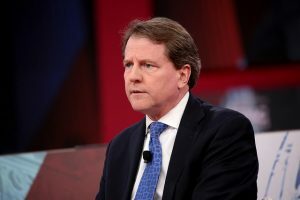 Last week, President Trump informed the public via Twitter that White House counsel Don McGahn will be resigning this fall. There’s just one problem with that: sources close to the matter claim that the announcement was made without informing McGahn first. Naturally, it looks a little suspicious, given that the declaration was made just 11 days after The New York Times reported the degree to which McGahn was cooperating with federal authorities on the Russia investigation. In fact, over the past nine months alone, McGahn has contributed at least 30 hours’ worth of testimony—some of which was completely voluntary. The Office of Counsel to the President was created in 1943. The White House counsel’s role is to advise the president on all legal matters pertaining to the current administration. He or she does not, however, serve as the president’s personal attorney. To be fair, McGahn has previously discussed his intention to leave. 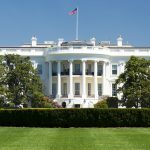 However, experts say that the way in which President Trump blindsided McGahn by prematurely announcing his departure indicates a deeper level of dysfunction within their relationship. According to the Times, the two have had their fair share of squabbles in the past. Sources claim that their relationship has been rocky ever since McGahn failed to stop Attorney General Jeff Sessions from recusing himself from the Russia investigation. The duo also reportedly clashed when the president asked McGahn to fire Mueller, which the latter refused to do.